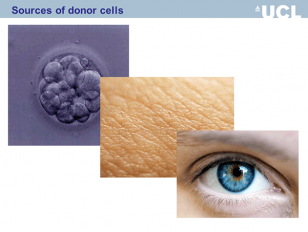 GEOSET » Stem cells: a cure for blindness? View Stem cells: a cure for blindness? Retinal degeneration is a leading cause of blindness in the western world. Drug treatments currently available only serve to slow the diseaseÕs progress and are not always successful. Rachael Pearson has helped develop a novel therapeutic approach to restoring vision, by replacing the cells lost through degeneration with functioning, light-sensitive cells. Dr Pearson is a Royal Society University Research Fellow at the University College London Institute of Ophthalmology.